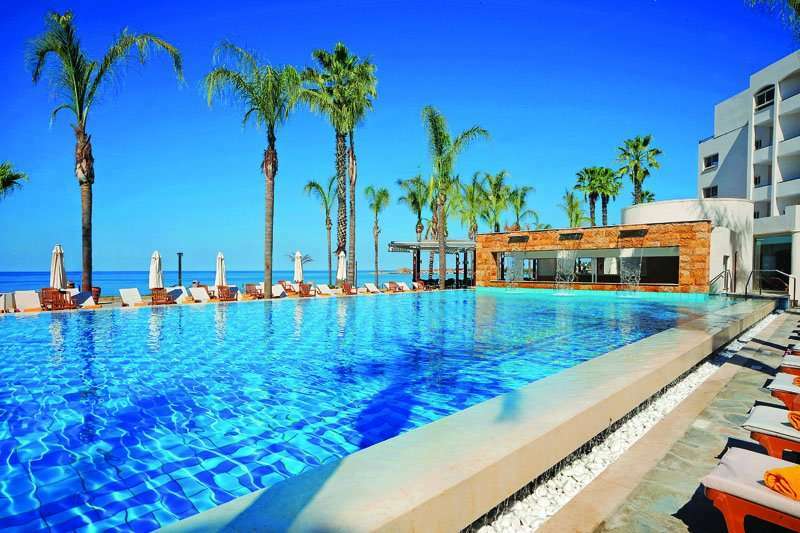 The recently renovated Alexander The Great Hotel is a fantastic accommodation option for a luxury golf holiday in Paphos, one of Greece’s best resorts. 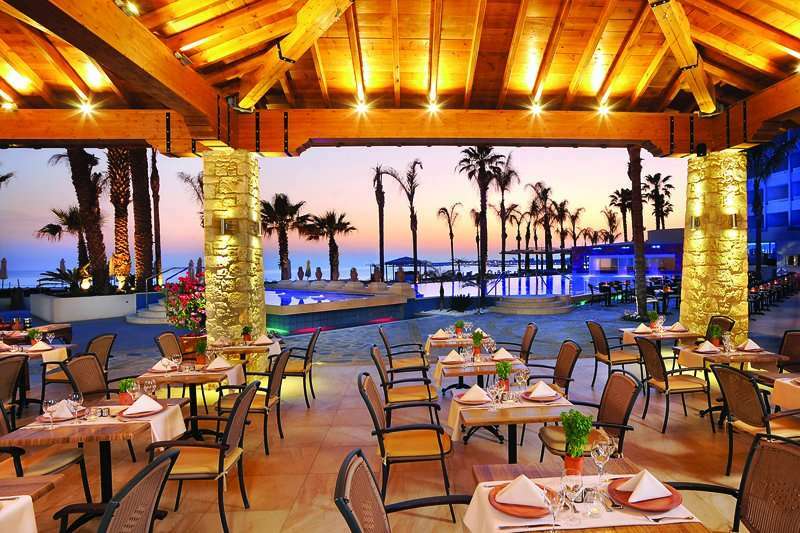 With excellent half-board options and the Elea Golf Course just a 10-minute drive away, it comes as no surprise that the Alexander The Great Beach Hotel has been the recipient of several awards for its impeccable quality. 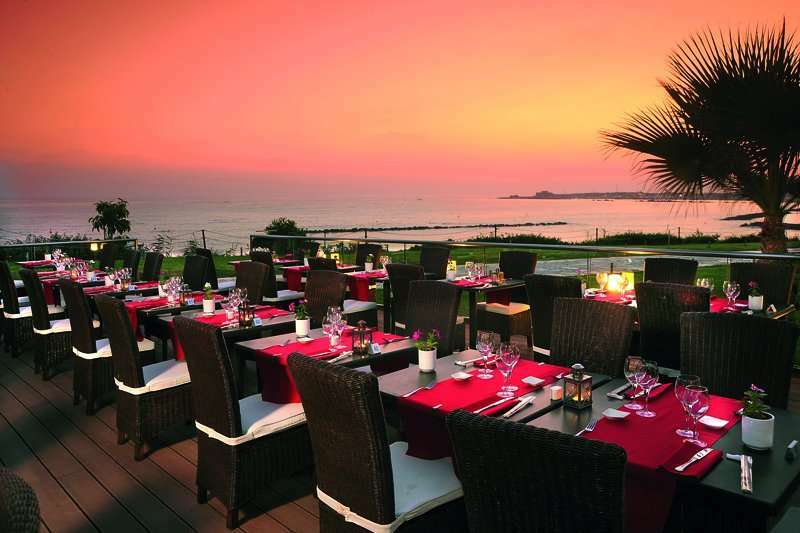 Not only is the Alexander The Great Beach Hotel an excellent hotel choice due to its leisure facilities and impeccable service, it is also situated in key location in the centre of Paphos. 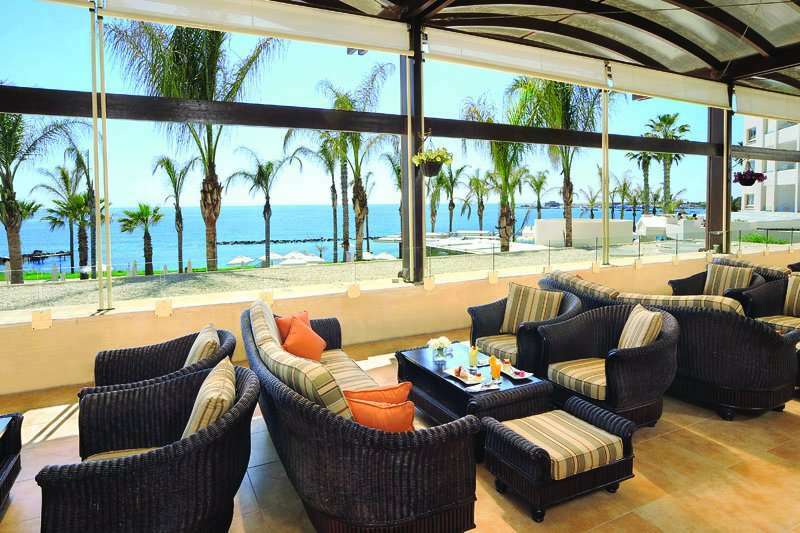 The Alexander The Great Beach Hotel is perfect for sun worshippers as it is located on a stunning sandy beach and is also just a few minutes’ walk away from the picturesque harbour where guests can find an array of excellent bars and restaurants. 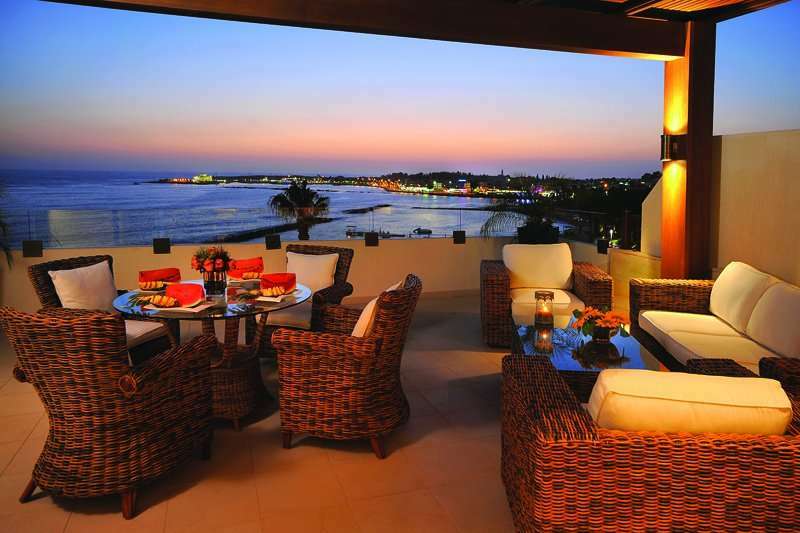 Paphos is known across Greece for its unspoilt beaches and crystal-clear waters, and at this hotel, guests can really appreciate this. History buffs will also love Paphos as they can indulge in captivating Greek history at the Paphos Archaeological Park, located just a 5 minute away from the Alexander The Great Beach Hotel. 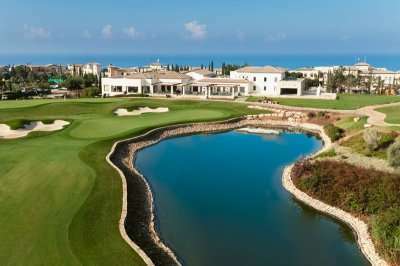 Conveniently for golfers staying at the Alexander The Great Beach Hotel, the fantastic Elea Golf Course, designed by Nick Faldo, is just a 10-minute drive away. 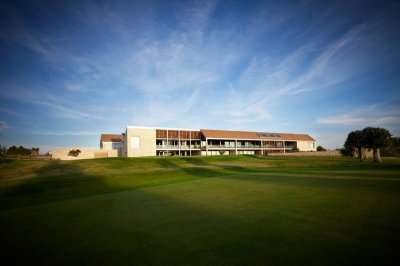 Alternatively, the Aphrodite Hills Golf Club, PGA National Cyprus is located just 25 minutes away from the hotel. 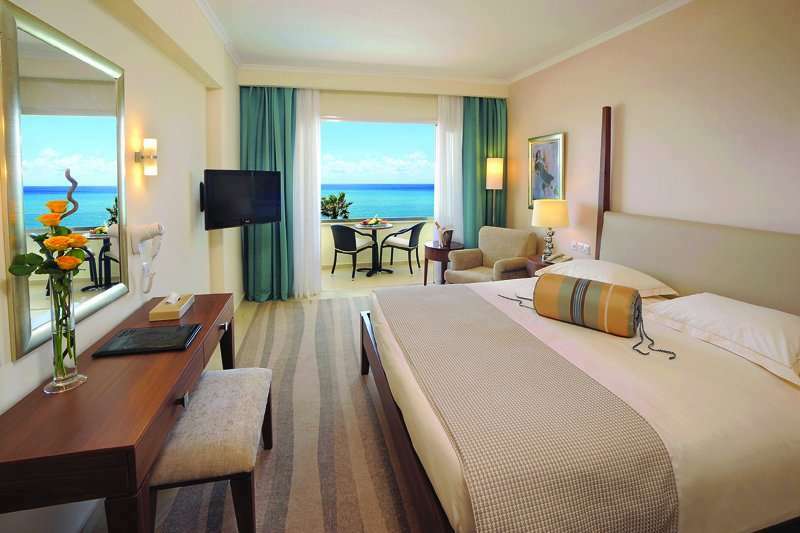 The Alexander The Great Beach Hotel offers its guests 202 luxury guest rooms consisting of the options of Standard Twin Rooms, Superior Rooms and Cabanas located on the ground level. With such a range of accommodation, at this hotel your stay can be perfectly tailored to your own needs. 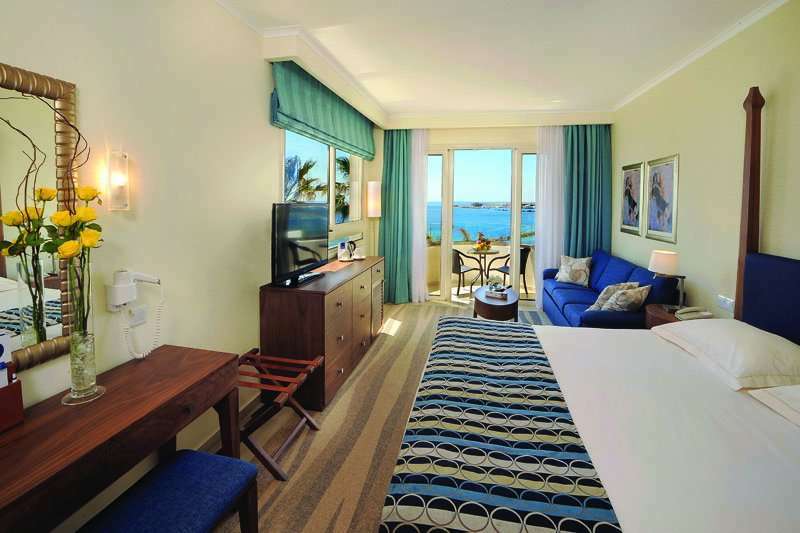 Rooms are fully furnished with all the essentials required for a luxurious stay, including air conditioning, satellite television and a stocked minibar. All rooms offer en suite bathroom facilities. 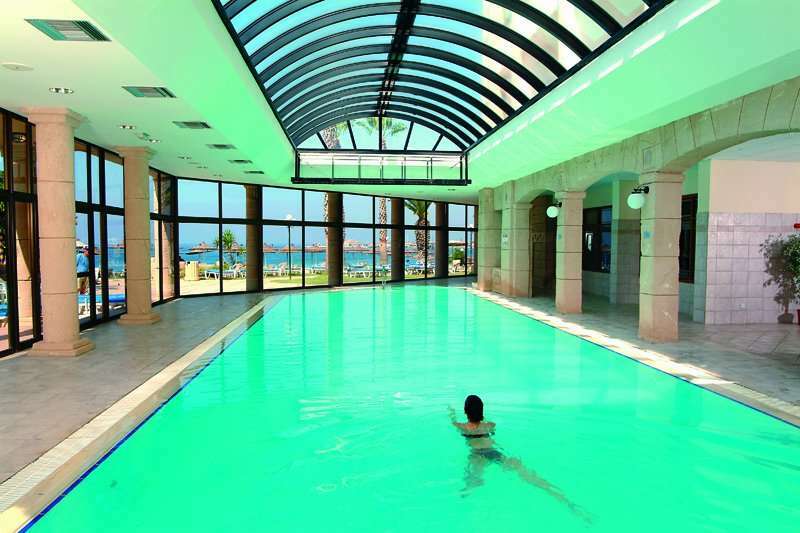 This property boasts fantastic leisure facilities including indoor and outdoor swimming pools with sun beds. 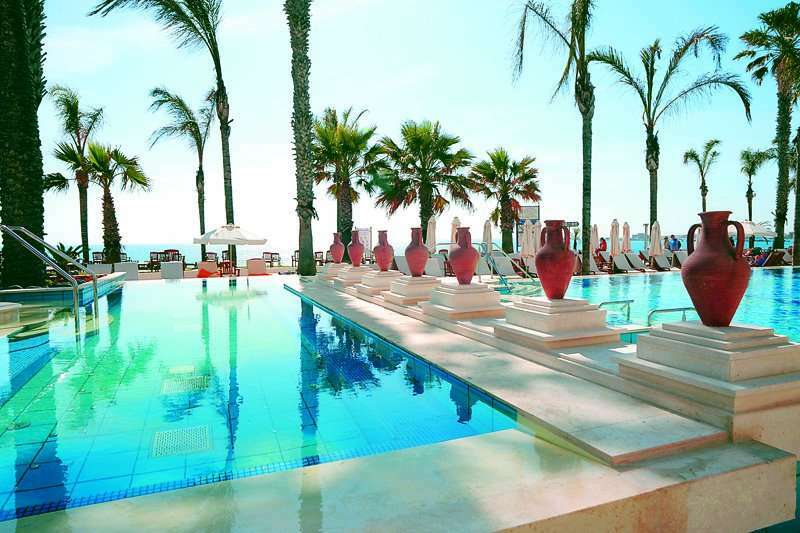 Furthermore, the hotel is situated on top of a European Blue Flag beach which is located just a stone’s throw away from the pool area. A range of water sports and activities is available on the beach for adrenaline junkies. Other activities on offer include private tennis courts, a fully equipped gym and table tennis. For those looking to truly indulge in relaxation, guests can enjoy a massage at the hotel’s Health and Beauty Studio or a session in the sauna. At the Alexander The Great Beach Hotel, guests can enjoy a choice of four restaurants; Roxanne’s Restaurant with live show cooking and buffet style theme nights, Garibaldi, an adults-only restaurant which serves a rich 4 course set menu of Italian cuisine, or the Kiku restaurant serving unique à la carte Japanese cuisine. Lastly, the Limanaki Tavern serves traditional local Meze for a true taste of Greece. Half Board Plus: Choice of 4 restaurants; Roxanne’s Restaurant with live show cooking and buffet style theme nights; Garibaldi serves a rich 4 course set menu of Italian cuisine (adults-only); Kiku serves à la carte Japanese cuisine; Limanaki Tavern serves traditional local Meze; Drinks with meals include a bottle of mineral water and a choice of a glass of local premium wine or beer or soft drink or juice; Breakfast & lunch served at the Café Royal Restaurant in buffet style with live cooking stations.